Reutter has been reporting and writing on Baltimore since 1970, when he started as a 19-year-old summer intern covering cops for The Evening Sun. He worked on a wide range of beats for the Sunpapers, including inner-city housing and downtown development, and exposed (with colleague Steve Luxenberg) the corrupt practices of the Pallottine Fathers, a local Catholic order. 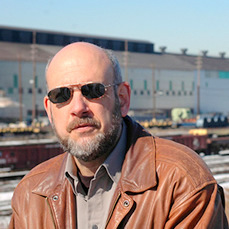 In the 1980s, he undertook an intensive study of blue-collar life and the business history of Baltimore’s then-largest employer, Bethlehem Steel, which resulted in the now classic “Making Steel.” In addition to his writings on Baltimore, he has edited the historical magazine, Railroad History, and publishes with the Progressive Policy Institute in Washington, D.C.